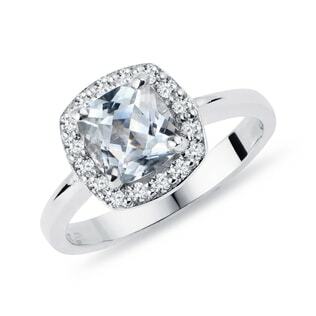 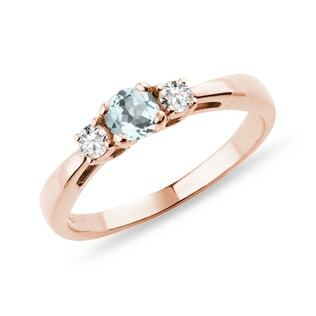 A stunning, romantic ring whose beauty lies in the details. 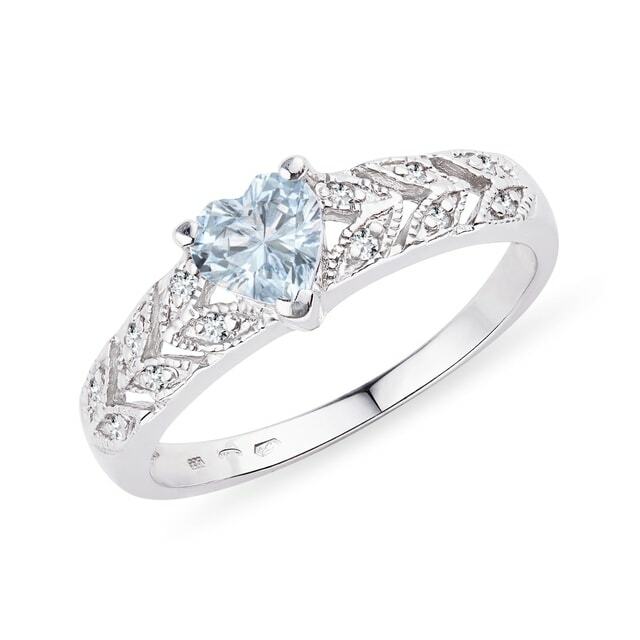 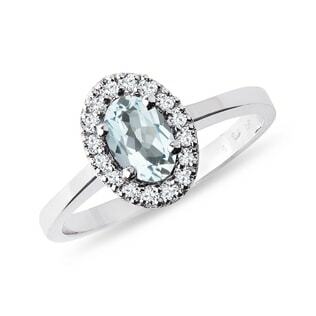 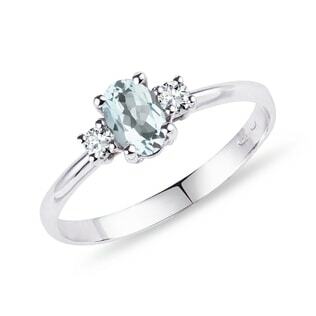 This ring is embellished with diamond-studded leaf detailing that leads up to a show-stopping heart-shaped aquamarine. 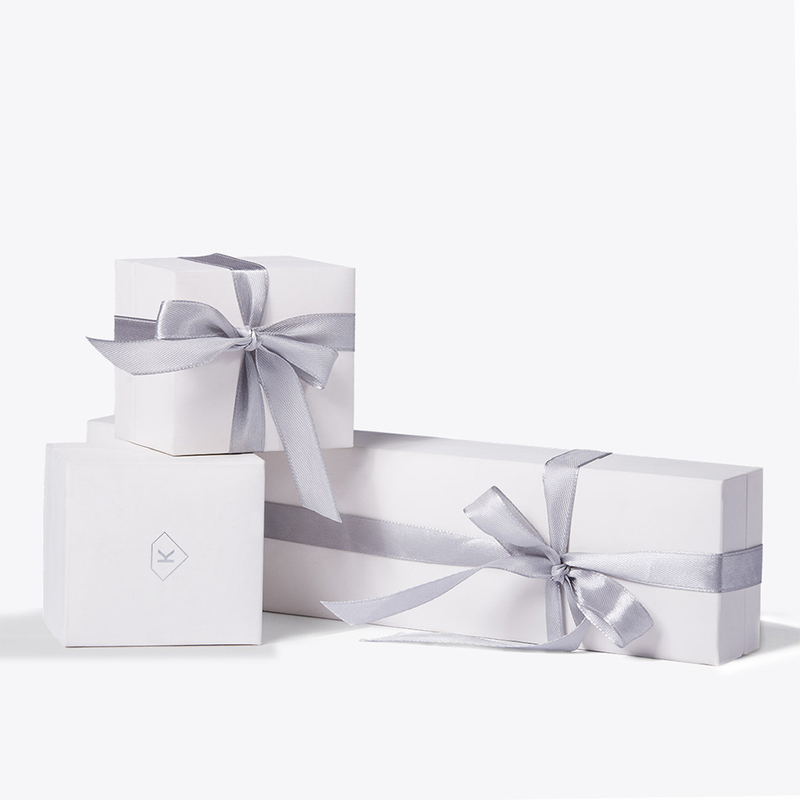 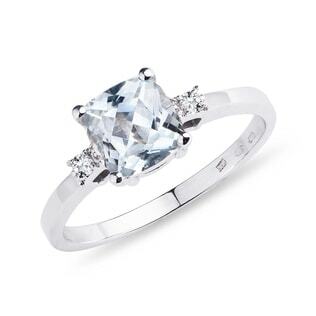 Crafted in sterling silver, this ring will bring out the hopeless romantic in everyone.